UNC Lineberger Comprehensive Cancer Center researchers helped lead an effort by The Cancer Genome Atlas Network of researchers to map the genetic drivers of invasive lobular carcinoma, the second most commonly diagnosed invasive form of breast cancer. They found that this cancer type may be at least three different diseases that differ in their microenvironmental features and outcomes. 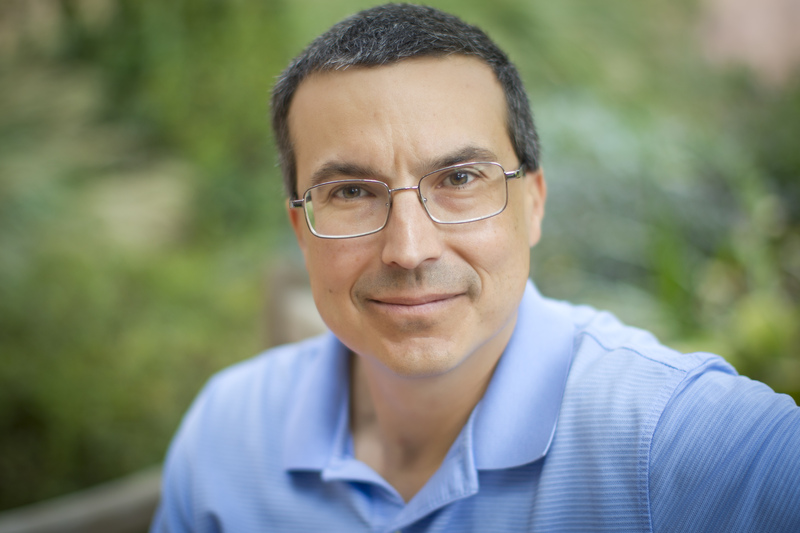 Charles M. Perou, PhD, is a UNC Lineberger member and the May Goldman Shaw Distinguished Professor of Molecular Oncology. Researchers from the UNC Lineberger Comprehensive Cancer Center and other academic centers have revealed new subtypes of invasive lobular carcinoma, the second most commonly diagnosed invasive breast cancer type. The findings could lead to personalized treatment approaches for the disease. Published today in the journal Cell, the findings stemmed from a large, comprehensive genomic analysis of breast cancers. The study was the latest effort for a single tumor type coming from The Cancer Genome Atlas, a federally-funded, multi-institution effort to map the genetic mutations in cancer. The study involved the analysis of genetic and molecular patterns in more than 800 breast cancer samples – including 127 samples of invasive lobular carcinoma, a disease that’s been studied on a limited basis in previous genomic studies. Invasive lobular breast cancers represent about 10 to 15 percent of invasive breast cancers, and are the second most commonly diagnosed invasive breast histological type behind invasive ductal carcinoma. They develop in the milk-producing glands of the breast, according to the American Cancer Society. This cancer type is harder to detect, and can pose challenges to the surgeon in identifying the extent of the cancer, said Lisa Carey, MD, co-director of the UNC Breast Center, physician-in-chief of the N.C. Cancer Hospital, and the Richardson and Marilyn Jacobs Preyer Distinguished Professor in Breast Cancer Research. Based on gene expression data, TCGA researchers identified three subtypes of the disease. Patients with the “reactive-like” subtype had significantly better overall survival compared with patients with the “proliferative” subtype. And while the researchers did not find significant differences in survival for patients in the third “immune-related” group, they did find that those patients had higher levels of immune system-related functions and high expression of a number of oncology drug targets. The study also reaffirmed a previous finding that loss of the function of a molecule called e-cadherin is the hallmark of invasive lobular carcinoma, and it uncovered new mutations in genes that regulate estrogen receptor signaling in these cancers. The researchers also found increased activity of a signaling pathway called the PI3K/Akt pathway in invasive lobular carcinomas. Based on the findings, the researchers believe that investigative drugs that target this pathway may be a particularly attractive for this breast cancer type. More than 200 authors collaborated on this study, which was supported by funding from The Cancer Genome Atlas project, an NCI Breast SPORE program grant, and the Breast Cancer Research Foundation. Specific authors also received funding support. One of only 45 NCI-designated comprehensive cancer centers, the University of North Carolina Lineberger Comprehensive Cancer Center brings together some of the most exceptional physicians and scientists in the country to investigate and improve the prevention, early detection and treatment of cancer. With research that spans the spectrum from the laboratory to the bedside to the community, UNC Lineberger faculty work to understand the causes of cancer at the genetic and environmental levels, to conduct groundbreaking laboratory research, and to translate findings into pioneering and innovative clinical trials. For more information, please visit www.unclineberger.org.